It is a common procedure for Companies to assist their cash flow by this process as the drawings element doesn’t attract PAYE/NI liabilities at the time of payment and if the accumulated drawings are recognised as Dividends at the end of the year they will then be subject to a different tax regime. However, if a Company does stray into difficult trading and becomes formally insolvent before the year-end, the drawings are usually represented by an apparently overdraw loan account which a Liquidator or Administrator is going to be obliged to investigate and demand repayment. Similarly, if a Company is technically insolvent at a year-end but that hasn’t been formally acknowledged, it is likely that a dividend will be declared that would be treated as an Unlawful Dividend if the Company later goes into formal insolvency without its finances having first recovered. Once again, a Liquidator or Administrator will have to investigate the situation and most likely demand repayment for the benefit of the Company’s creditors. 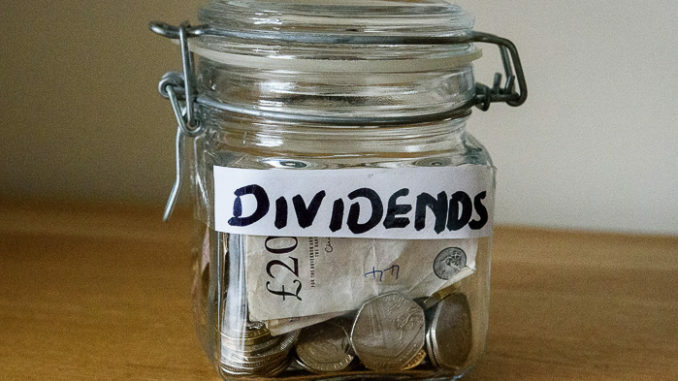 Recent case law* may help some Directors who find themselves in this position because it not only underscores some basic principles but (until the case is appealed) acknowledges that dividends can be declared throughout the year “in principle” and then reclassified if necessary at the year-end when the accounts are drawn up. The Court’s interpretation of regular dividend payments taken by Directors throughout the year in which the Company entered Liquidation were challenged by a creditor. At the time the payments were made the Directors definitively signed dividend forms. If the Company was technically insolvent at the time the dividends were declared and paid there was a strong argument that they were Unlawful Dividends but it was successfully argued in this case that although the dividends were declared, because the Directors habitually took these distributions in this manner it was possible to treat the dividends as having been declared “in principle” and that they could be re-characterised if it was found at the year end that there were no distributable reserves. The case may well hinge on the facts in that they had always taken these payments and made a formal declaration with each payment but with the clear understanding that they expected there to be distributable reserves at the year-end and that the Company would be solvent at that time. Most small companies don’t do this but instead, their accountants tend to allocate additional drawings to Dividends when the accounts are prepared. However, it may be worth noting that a small change in procedure could help Directors deal with the risk of the Company having no reserves or becoming insolvent at a later date. The case also confirmed that Directors are entitled to reasonable remuneration. When the “in principle” dividends were re-characterised as remuneration the Directors successfully argued on a Quantum Meruit basis that they had been paid for work done and at a reasonable rate; this defeated claims brought against them for alleged Transactions at an Undervalue and Misfeasance. All Liquidators and Administrators have to review payments received by Directors and it is often a point of conflict when a Director that has committed their time exclusively to a business finds themselves under pressure to repay what appear to be either Unlawful Dividends or an Overdrawn Loan Account. This case may assist a few to successfully defend their position but it is important to create the right circumstances at the time the actual payments are made. It is also important to bear in mind that this case didn’t consider whether the payments might have been treated as a Preference. If the Company was insolvent at the date the dividends were declared, unless the reasonable remuneration argument works, it is difficult to see how a Preference claim could be defended if there was an attempt to re-characterised the payments as repayment of a loan made to the Company by the Directors. The Directors are ordinary creditors and don’t have any better right to be paid than any other creditor. Often, when a Company is in financial difficulty and Directors are already creditors they treat their monthly drawings and any other payments to themselves as loan repayments in order to avoid PAYE/NI commitments. Unfortunately, if a Company then enters Liquidation or Administration, if those payments exceed what can be considered reasonable remuneration, they will almost certainly be capable of being attacked as a Preference. This is especially the case if they aren’t regular payments or are inordinately large one-off payments. In most small companies the Directors are employees because they work in the business and exercise executive control and manage its daily affairs. If a Company becomes insolvent and the Directors become redundant they are likely to be able to make a claim against the Government’s Redundancy Payments Scheme for arrears of wages, unpaid holiday entitlements and even Notice Pay and Redundancy subject to the usual statutory criteria. However, if a Director has an overdrawn loan account balance those claims will be offset and may be rejected. If you are trying to advise clients how best to treat payments to themselves when their company is facing financial challenges it may be useful to consult with an Insolvency Practitioner. Taking and following that advice can help to avoid considerable heartache and potential expense at a later stage when it is least welcome.